Can you guess the biblical person, place, or thing? Ready ... GO! If your kids like The Action Bible, they'll love The Action Bible Guess-It Game. Learning the Bible has never been more easy and fun! Great for traveling or family game night; appropriate for mixed ages. 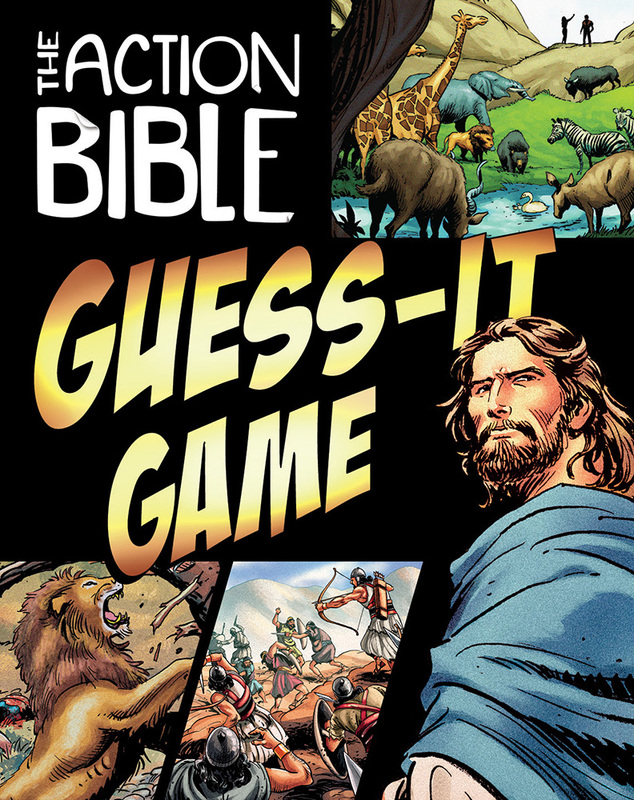 Action Bible Guess It Game by Sergio Cariello was published by David C Cook in March 2014 and is our 2237th best seller. The ISBN for Action Bible Guess It Game is 9781434708342. Be the first to review Action Bible Guess It Game! Got a question? No problem! Just click here to ask us about Action Bible Guess It Game.